It’s normal to perform worse on cognitive tasks or remember things poorly once you reach a certain age. But scientists claim that technology can reverse some aspects of normal aging. Using a technique called transcranial stimulation, which essentially involves zapping the brain with electricity, researchers were able to induce memory improvements in elderly participants. According to the study, the improvements rapidly restored the participants’ brains to a “youthful state”. The new study comes from Boston University where researchers first tested 42 young and 42 older individuals (aged 60 to 76 years) on a series of memory tasks. The younger subjects performed better, as expected. Later, the participants were fitted with an electrode-covered cap which non-invasively stimulated two areas of the brain with electricity for 25 minutes. The stimulated areas were the temporal and frontotemporal cortex, which are involved in processing sensory input into derived meanings and ‘higher’ brain functions, respectively. Schematic showing the stimulated brain regions. Credit: Boston University. The electric current was fired in such a way as to sync the brain waves of the two regions. 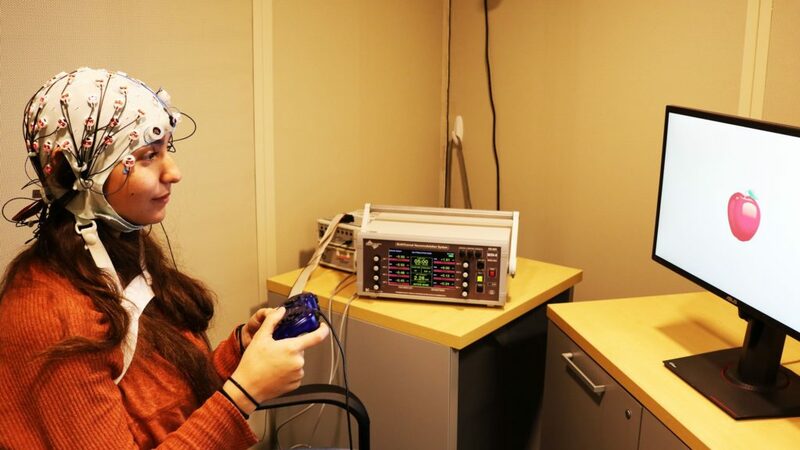 When the participants were tested again, the elderly participants who had undergone transcranial stimulation performed just as well as 20-year-olds. This effect lasted for at least 50 minutes, when the measurements were ceased. Younger adults who had lower performance scores in the tests also saw improvements following the stimulation. “Age-related changes are not unchangeable,” lead author Robert Reinhart from Boston University told The Guardian. Writing in the journal Nature Neuroscience, the researchers hypothesize that the synchronization of the brain waves, called phase-amplitude coupling (PAC), improves working memory. Reinhart says that brain wave rhythms originating from different areas of the brain resemble an orchestra composed of flutes, violins, and other musical instruments. Just like when a conductor fumbles causing the music to fall out of sync, sometimes brain wave rhythm can be disrupted causing memories to lose their sharpness. The stimulation organizes the melodies within the brain. “It’s behaviorally relevant. Now, [people are] performing tasks differently, they’re remembering things better, they’re perceiving better, they’re learning faster. It is really extraordinary,” Reinhart said in a statement. More research is required to establish how long these positive effects can last, as well as any long-term side effects.